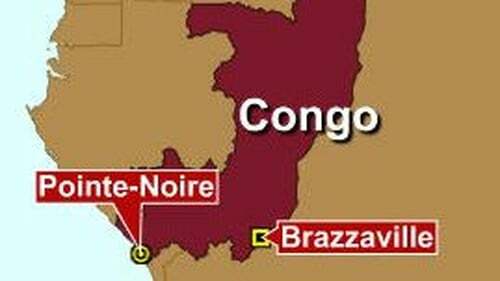 At least 60 people have been killed and 270 injured in a train crash in the south of Congo-Brazzaville. More than 80 of the injured are in a serious condition after the early morning crash, which happened 60km from the southern city of Pointe-Noire. A rail company official said that overloading is a suspected cause of the crash. Relatives of the dead and injured are waiting for news at railway stations in Pointe Noire and Dolisie. The bodies of the dead and the injured have been taken to morgues and hospitals in Pointe-Noire. The 510km line is the main link between the capital Brazzaville and Pointe-Noire on the Atlantic coast.